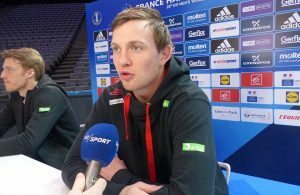 Toyota Handball Bundesliga began with a match between Wetzlar and SG Flensburg, where away team took a points in exiting finish – 28:29. Even more interesting was in Goppingen, where is domestic team won against title contender – HSV Hamburg 32:30. Also, in another match of the first round, VFL Gummersbach beat TBV Lemgo 31:30. 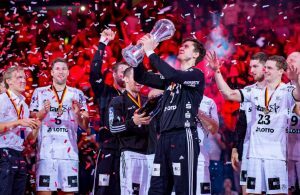 Defending champion, THW Kiel smashed newcomer, Friesenheim with double goals advantage – 37:19 in front of 10250 fans in Sparkasse Arena. Next Story → Jovica Cvetkovic near cancellation in HCM Constanta!